Orlando, Florida, is unarguably the amusement park Mecca of the world. So, who would dare open a modest, traditional amusement park here? John Arie Snr dared, and now his two Fun Spot parks are performing remarkably well in the company of some very large neighbours. Gary Kyriazi meets him. only is Florida home to four Disney parks at Walt Disney World, including the historic, definitive and iconic Magic Kingdom, but it’s also the home to Universal Studio, Islands of Adventure and Sea World. A little over an hour away in Tampa, Florida, is Busch Gardens. And now Legoland too, less than 60 minutes’ drive. So where did John Arie enter the picture? 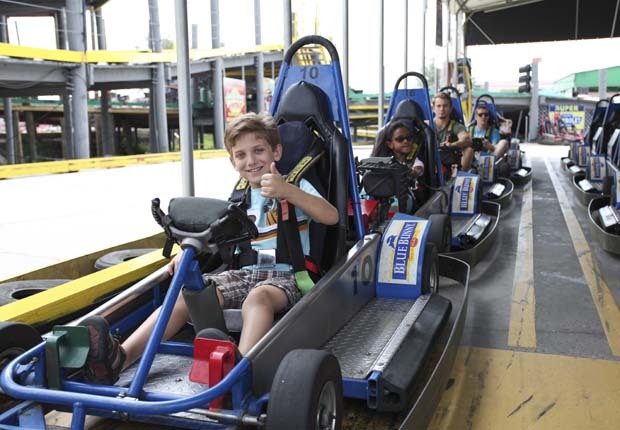 As a Florida teenager in the 1960s, his first job as a $40-per-week go-kart track operator hooked him on the amusement industry, and he’s been a dynamo since. 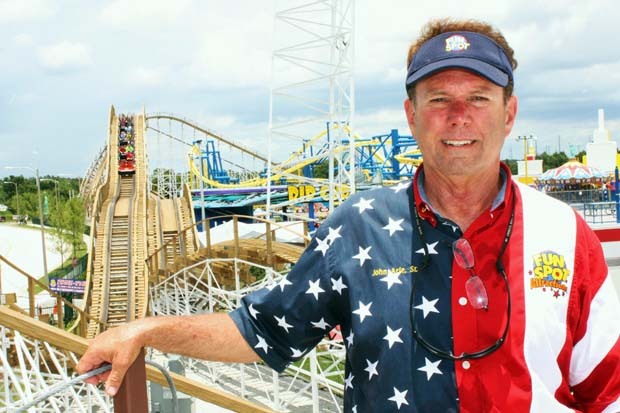 In 1997 he purchased five acres in Orlando, opening Fun ‘N Wheels, an FEC containing multi-level go-kart tracks and the standard associated arcade and flat rides. 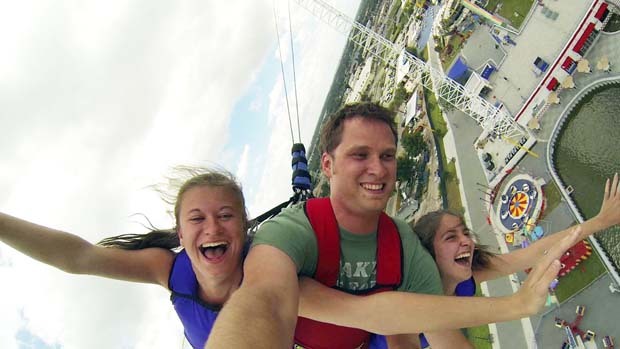 In 2004 Arie purchased the 300ft high SkyCoaster swing – the world’s highest – from Las Vegas’ MGM Grand Adventures and installed it in Kissimmee, Florida, just 20 miles away from Orlando. 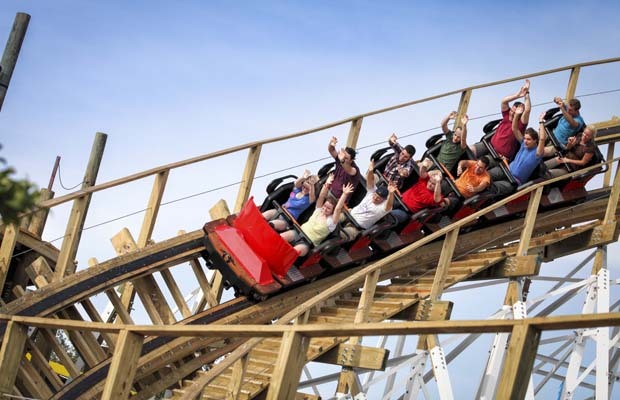 In 2007, Arie expanded that SkyCoaster concession into an eight-acre FEC, with his patented multi-level go-kart tracks and more rides, including a spinning coaster from Zamperla. 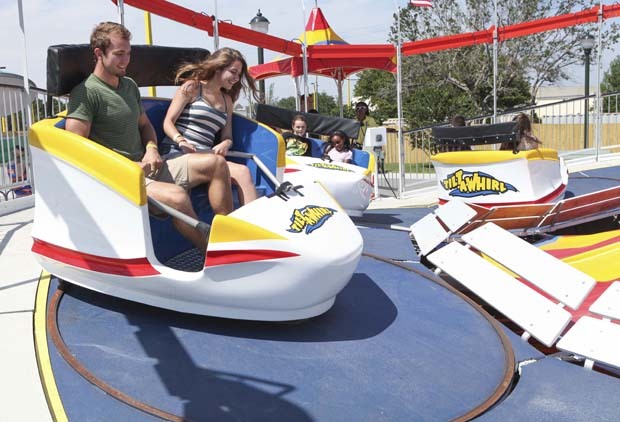 In 2013, Arie moved the former Fun Spot Action Park to a 15-acre parcel of land just down the street from the original five in Orlando, re-naming it Fun Spot America. The reason for the move: to give himself room for the big rides, coasters in particular. The resultant $25 million dollar expansion included a steel-supported wood coaster from Great Coasters International ($3.5 million), a suspended coaster from Chance/Vekoma ($5 million), and, operating as a concession, the world’s second tallest (250ft) SkyCoaster. We’re already breathless just observing what John Arie Snr, 64, has done, but even so we asked him, just where does he go from here? So with two parks about a 30 minute drive from each other, how do they work with each other, or might they possibly work against each other? “Our two parks definitely complement each other, not compete. If Fun Spot America had created its own destination area, then the two parks would indeed be more competitive. But as it is we’re pulling mainly from central Florida, we have very little media presence in Jacksonville, Miami, and Tampa. So localizing ourselves in central Florida, our visitors are going to frequent whichever park is closer. We’re very ‘convenient’ parks, very family friendly, with easy in, easy out, free parking, and free admission, you only pay for the rides. Given that, the two parks work well with each other. 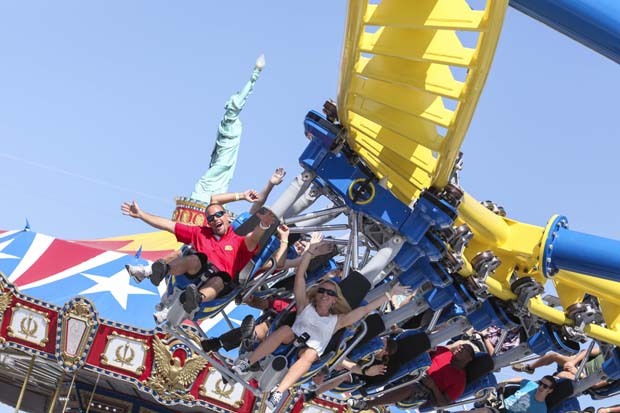 Given this healthy increase in attendance and a strong regular following, Fun Spot America has firmly established itself in Florida as the new, tough, little guy on the block. Gary Kyriazi is the author of The Great American Amusement Parks, and the writer/producer of America Screams, the first pictorial history and television special about American amusement parks. He has been a researcher and historian on American amusement parks for 40 years.